Baz Lurhman Says His 3D Will Put You In “The Great Gatsby.” | The Cineaste's Lament. 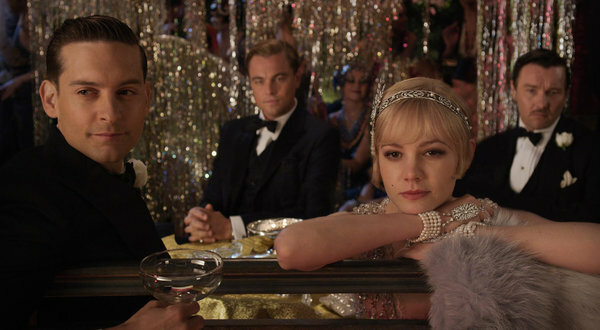 So you’ve probably heard by now that Australian director Baz Luhrman’s adaptation of F. Scott Fitzgerald’s “The Great Gatsby” is going to be in 3D. In fact, there may even be a chance that you heard about it on this very blog. And, if you’re like me, and “Gatsby” is one of your favorite books in all of American literature, you may have shuddered at this great work (which has generally defied adaptation to the big screen) was going to be shot in a medium usually reserved for sci-fi and superhero movies. And I say that as an admitted fan of sci-fi and superhero movies. In a New York Times piece published Tuesday, Lurhman opens up about the film, letting us know that there’s a method to his madness. His 3D is intended to bring the viewer into the film — such as Tom Buchanan’s pivotal confrontation with Gatsby in the book’s final act. “The ‘special effect’ in this movie is seeing fine actors in the prime of their acting careers tearing each other apart,” Mr. Luhrmann explained in a telephone interview this week. He spoke of using 3-D not to create thrilling vistas or coming-at-you threats, but rather to find a new intimacy in film. He referred particularly to a climactic scene in which Daisy’s husband, Tom Buchanan (played by Joel Edgerton), confronts Mr. DiCaprio’s Gatsby in a suite at the Plaza hotel, all in three dimensions. Luhrman’s cast Leonardo DiCaprio as Gatsby. I’ve never been completely sold on him, so I’m reserving judgment until I see the movie. I’m more curious about how Tobey Maguire will decide to play the book’s narrator, Nick Carraway, who’s one of my favorite protagonists in literature. I’m already sold on Carey Mulligan as Daisy Buchanan. This entry was posted in Books On Film, drama, Thinking About Movies and tagged Baz Luhrman, Carey Mulligan, Leonardo DiCaprio, The Great Gatsby, Tobey Maguire. Bookmark the permalink.